A seminar that focuses on the improvement of breeding improvement initiatives in Ethiopia. The highlights of the event. On Friday April 13th DairyBISS conducted a scientific seminar based on breeding at Getfam Hotel. The seminar began with an opening conducted by Mr Adriaan Vernooij of Wageningen University who explained that the main ideas and intentions of the seminar which was that this was an opportunity to strengthen the collaboration of Dutch and Ethiopian knowledge institutes on issues of dairy breed improvement researches. The seminar gathered a group of prominent scholarly and business minded individuals from various places around the world who engaged in cattle and dairy breeding to share information and discuss on bringing about progress in this particular topic . For the full PDF file click here. -Importance of roughage/fodder in cow’s diet. -How to still feed them? Conclusions – pathways towards implementation of complementary strategies. For the full PDF file ,click here. In summary the meeting was a success and covered most of its major topics and questions. DairyBISS has successfully conducted its breeding scientific seminar . On Friday April 13th DairyBISS has conducted a scientific seminar based on breeding at Getfam Hotel. The seminar highlighted a number of important issues for the future in breeding improvement initiatives in Ethiopia. Moreover it was an opportunity to strengthen the collaboration of Dutch and Ethiopian knowledge institutes on issues of dairy breed improvement researches. The seminar gathered an eminent of speakers and scholars engaged in dairy breeding. Over all the seminar was a success and is hoped to bring about various opportunities . DairyBISS has successfully conducted its 2018 B2B (Business to business ) meeting on breeding. On Thursday April 12,1018, B2B meeting was conducted at Getfam Hotel ,aimed at nurturing relationships between breeding service providers and breeding service recipients . First there were various presentations on issues of breeding improvement services provisioned by government, development partners, and Dutch and local private AI provider companies . Then match making was set to bring further relations of these various parties. The main idea is being able to promote the private sector looking to new prospect and act upon for growing and untapped demands of breed improvement services in Ethiopia and to underline the interrelation of genetics improvement with other management aspects of dairy production in Ethiopia. The meeting passed successfully with various members sharing their thoughts and ideas on building a certain foundation for further relationship with the Dutch parties. DairyBiss has successfully conducted its Field visit on breeding . On Wednesday April 11th a visit was organized and successfully conducted for Dutch Dairy businesses to visit the national insemination Center ,private AI services and various private dairy farms around Debrezit and its surroundings first hand for gaining more information and insight and others information about breeding services and its prospects in Ethiopia . Various private and government owned breeding institutions were visited one of the better-known institutions which was NAIC (National Artificial Insemination Centre of Ethiopia), and experts discussed various issues. The first visit was also at NAIC and started with a discussion on new plans and concerns and drawbacks that they were having. Then visited the facilities and devices that were used in their work efforts including a first- hand viewing of professionals did their works. Then the Dutch visitors were showed records relating to previous breeding efforts. Then multiple private farms were visited and each showed their individual structural preferences. Overall the visit was a successful sharing and understanding of two different parties hoping to be in a sustainable collaboration. Joint efforts to develop milk mapping tools for major milk shed in different areas of the country have begun. On March 14, 2018, DairyBISS together with the Ministry of livestock and fishery in various regions of Ethiopia have started a meeting to help develop milk mapping tools for the major milk shed areas of the country and has successfully conducted the first meeting at the Ambassador hotel in Bole. 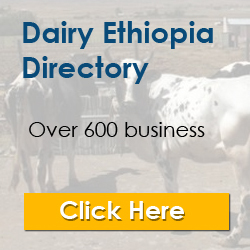 In a nutshell the total processing capacity of Dairy factories operating in Ethiopia is estimated to soon surpass 300 thousand ,considering this amount of investment flowing into the milk sheds in the country ,creating access to reliable information that assists potential investors to make right investment decisions is very crucial. Experts working on mapping viable clusters. In regard to this DairyBiss along with the Ministry of livestock and Fishery have started to develop milk mapping tools for the major milk sheds in various areas of the country. Dairy production training and coaching program for farm owners and managers has begun. On February the 27th DairyBiss-Ethiopia has begun its annual house training for farm owners /managers by the use of various contents and programs and has started and will continue to be conducted in Debre Zeit . The program contains seven modules, with the first module focusing on dairy Housing which has been conducted successfully. The program is hoped to provide managers with more skills and practical knowledge on the dairy production. It had started and will ends form the 27th of February till the first of March, 2018. Are you interested in Animal breeding and Genetics by also being guided by a specialized team of advisor’s ,then do we have a good news for you as DairyBISS has prepared a free on-line course on the subject for any interested party to join. If interested click here for more information and to be guided to the website.